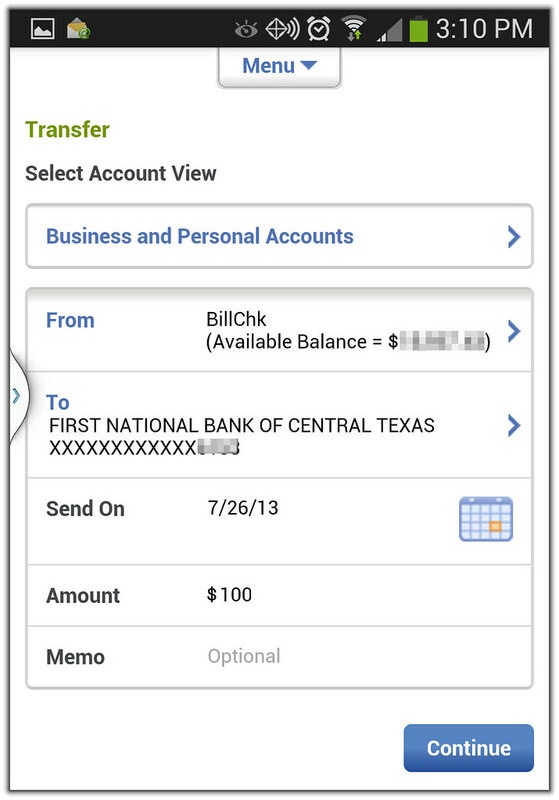 Find the account and routing numbers for your prepaid card. 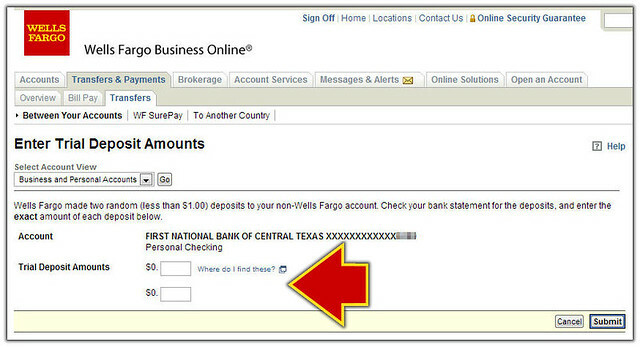 Add your prepaid card as a Non-Wells Fargo checking account in Wells Fargo Online. Initiate the account verification process which involves Wells Fargo making two small trial deposits to your prepaid card and then reversing the deposits with one withdrawal. Check your prepaid card for the trial deposit amounts in a few business days. 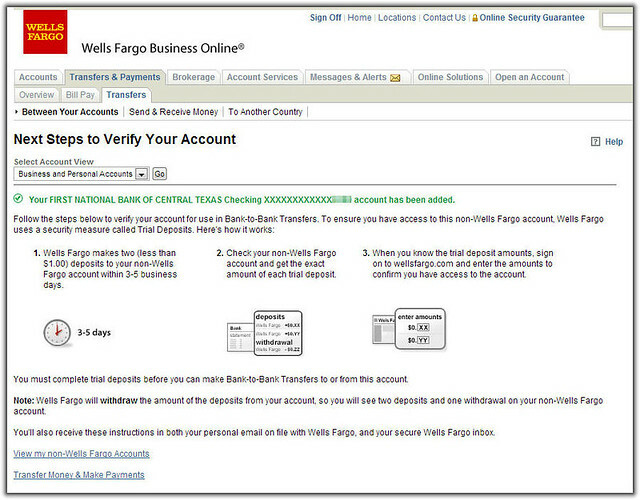 Enter the trial deposit amounts back in Wells Fargo Online to complete the verification process. 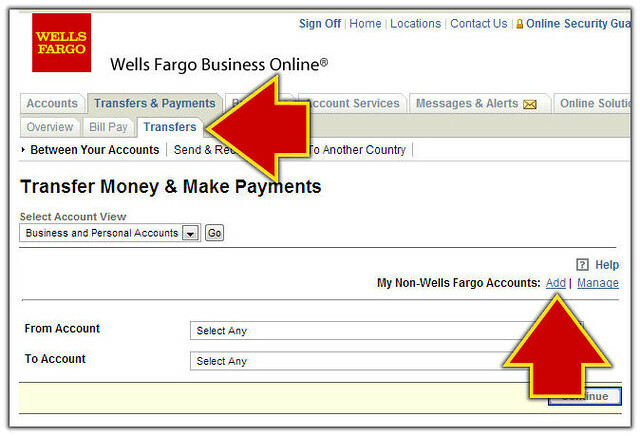 Make transfers from your checking account to your prepaid card using Wells Fargo Online or from the Wells Fargo mobile banking app. Each transfer typically takes about 3 business days and is free. An expedited transfer incurs a fee of a few dollars. Note: If you have FamZoo prepaid cards and you’d like to investigate other card loading options including instant and free options, see here. The first order of business is to find out whether your prepaid card has associated account and routing numbers that can be used for making direct deposits. If you have a prepaid card from FamZoo or TransCard, you’re in luck: the account and routing numbers are listed on the sheet of paper that comes in the mail with your card (see here for detailed instructions). If you have a prepaid card from another vendor, then try googling on “how do I find account and routing numbers for _____” filling in the blank with the name of the prepaid card. Or, contact the vendor’s customer service and ask. Armed with the routing and account numbers, now you’re ready to add your prepaid card as a Non-Wells Fargo account so you can initiate transfers from your checking account. 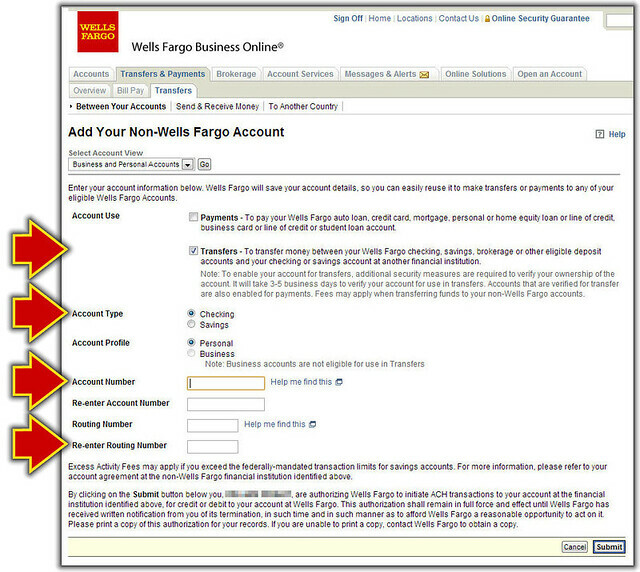 click on the Add link next to the My Non-Wells Fargo Accounts label. A form will come up where you can fill in the appropriate attributes of your prepaid card: the account use (select Transfers), the account type (choose Checking), the account number, and the routing number. 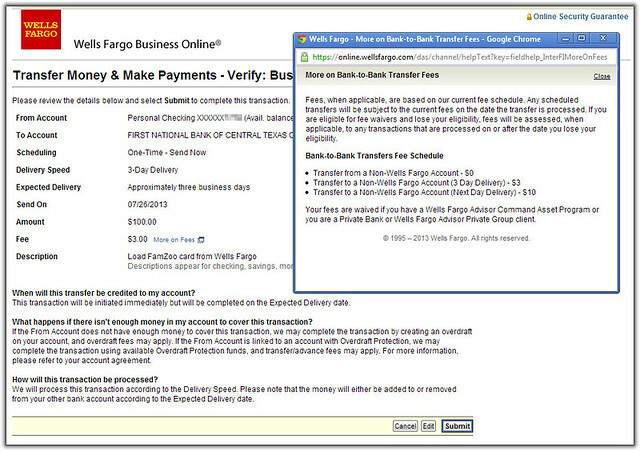 When you successfully submit the form above, Wells Fargo kicks off the verification and displays a screen indicating the steps you need to take to complete the process. They’ll make two small trial deposits to your prepaid card and then reverse them with a single withdrawal for the combined amount. After a few business days, sign into your prepaid card account and look for the trial deposits. Or, turn on your card activity alerts so you’ll know as soon as they come in. Here’s what they look like in FamZoo on the Transactions page for your prepaid card. 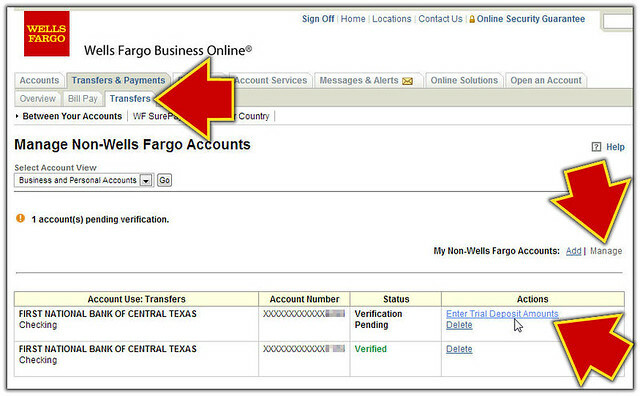 click on the Enter Trial Deposit Amounts link next your prepaid card account that is pending verification. Enter the amounts on the form, click Submit, and you’ll be good to go for making transfers to your prepaid card. If you’re happy with the everything, click Submit to initiate the load and you’ll see the money appear on your prepaid card about 3 business days later. 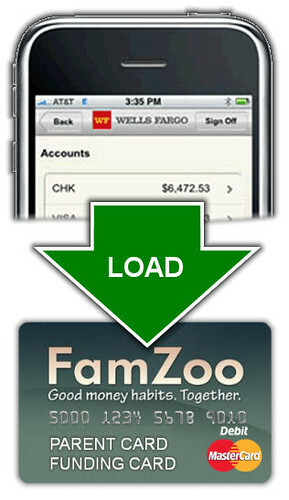 Questions or problems loading your FamZoo card from your checking account? Don’t hesitate to contact us. What if I don't have Wells Fargo? How do I transfer my savings account with Famzoo over to my bank savings account? 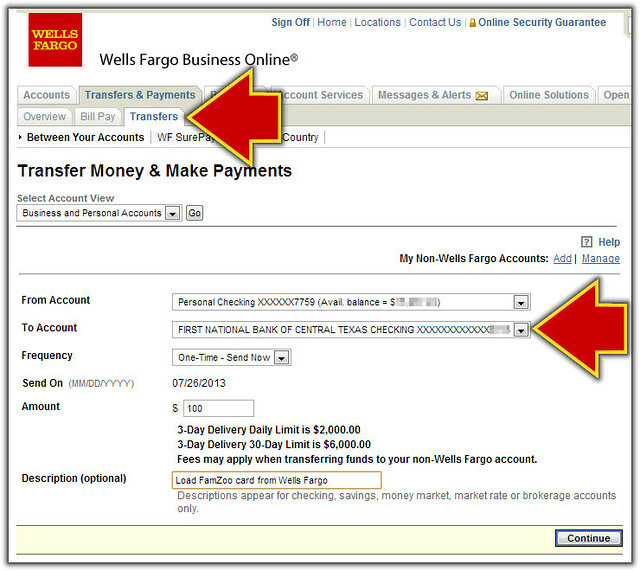 Hi there, almost all online banking applications support external transfers like Wells Fargo does in the example above. Other banks will have very similar screens. And, they'll typically support bi-directional transfer, so you can move money from any of your FamZoo cards back into a bank account. 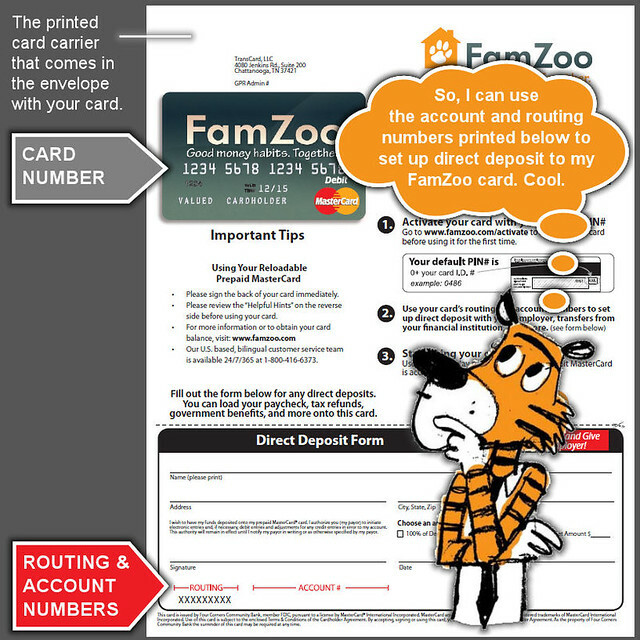 Just be sure to use the account and routing numbers for the desired FamZoo card and to always identify the FamZoo card as a CHECKING account.